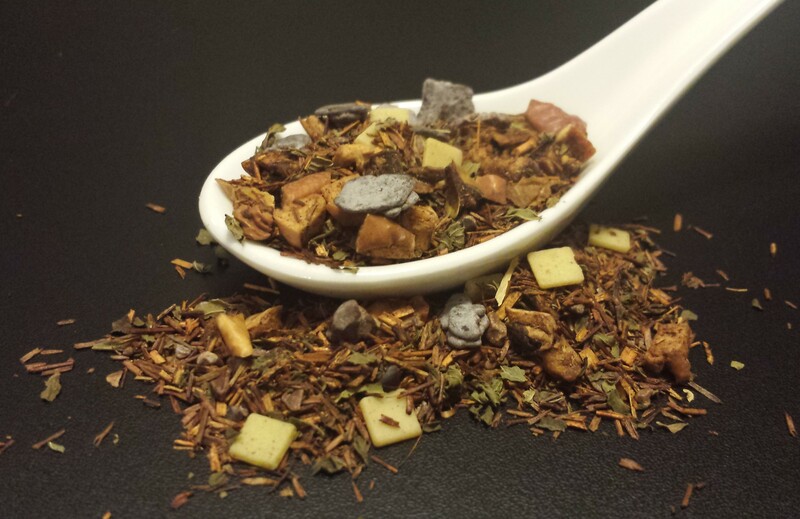 Rooibos with vanilla, peppermint, apple, natural flavor, and chocolate bits. With mellow notes of vanilla, the rich texture of chocolate, and the essence of mint, this tisane is sure to become your happily ever after tea. Contains trace amounts of sugar and dairy.